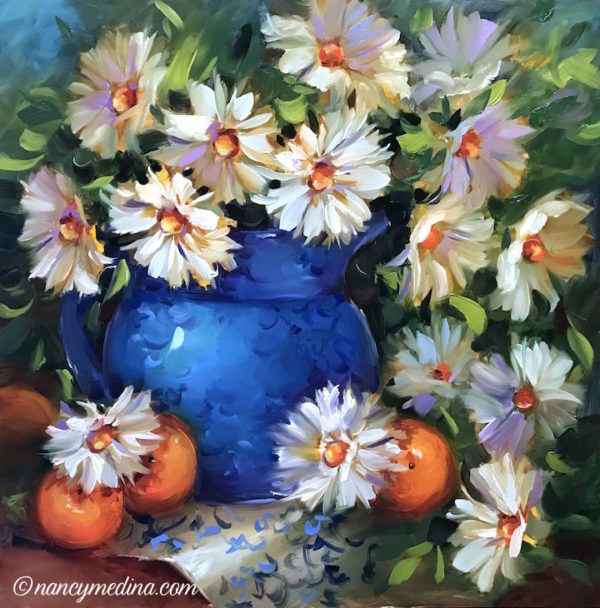 Request “Nancy Medina Workshop” for the Discount! *Note, this is high season, so book your room early! I'm excited to open a second workshop in Fredericksburg during spring bloom! 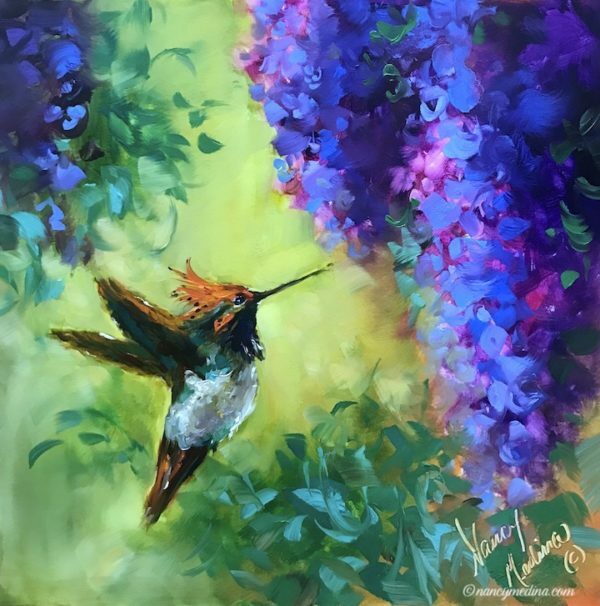 For those who were unable to get a seat in the April 8-10, 2019, workshop, another opportunity to paint in the Hill Country is now open. Join me for three days of painting in the Texas Hill Country May 6-8, 2019, in one of the most beautiful places in the state, the charming town of Fredericksburg, Texas. Scheduled during the high season for wildflower bloom, Fredericksburg is the epicenter of the wildflower planting program founded by Ladybird Johnson and is an unforgettable springtime getaway for artists. Open for beginners to advanced painters, I’ll share all my favorite tips for taking your art to the next level in this indoor workshop! Put on your color capes and dive into courageous color on canvas with me as we paint together. 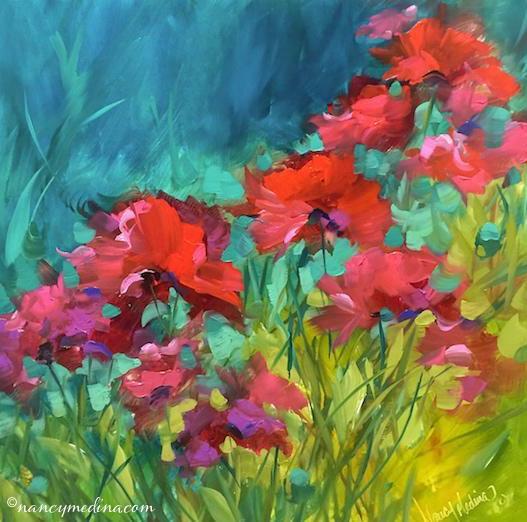 Click here for a video of wildflowers from a previous workshop in Fredericksburg! 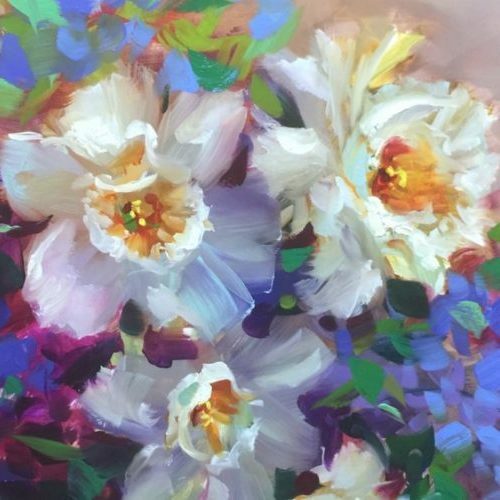 Open for students who work in oils, as well as those who work in water based oils and acrylics, you will learn to loosen your approach to botanicals and flowers. All demos will be done in oils with plenty of support provided for our acrylic painters, too. This will be a fun workshop with multiple demonstrations by the teacher. 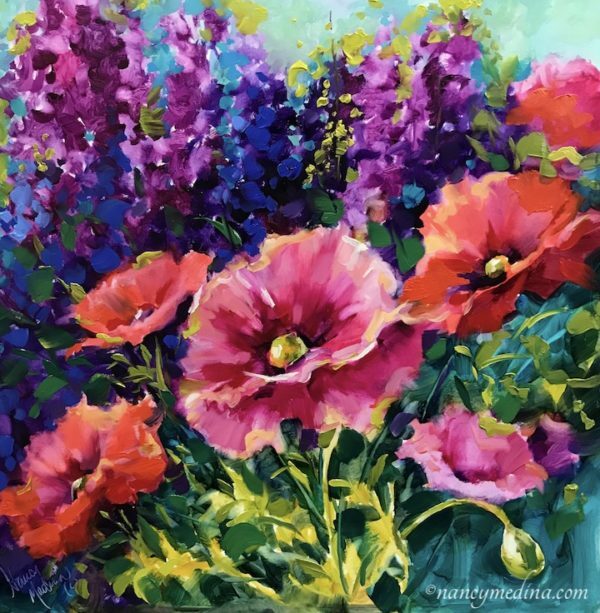 With our marvelous host Jane Drynan at the helm, I'll share all my favorite tips with you for creating brilliant color on a transparent background, and methods for making your flowers and garden scenes look authentic and beautiful. 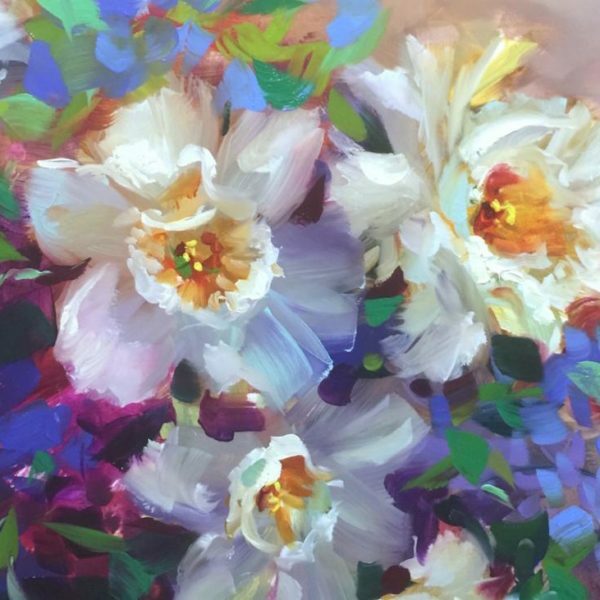 Students are encouraged to take lots of photos and ask many questions, and will take home the tools needed to create flowers paintings they will enjoy for years to come. Class begins with a thorough and well-explained demonstration by the instructor. Painting together each day in step-by-step lessons, students will enjoy a relaxed atmosphere with plenty of color and fun. The classroom facility has great light and is located in one of the most beautiful places in Texas, the Hill Country. This workshop sells out every year, so save your seat early!